Meet Dr Ali Ghatri Who’s On A Mission To Take QODS To The Next Level! It’s safe to say the stars aligned when Dr. Ali Ghatri met Dr. Mehran Rouhanian through a mutual friend. Both a personal and professional relationship budded and blossomed and together, they have developed Quince Orchard Dental Specialists into the outstanding practice it is today. But who really is Dr. Ghatri and what’s his role at QODS? Well those questions and more will be answered in this insightful article. 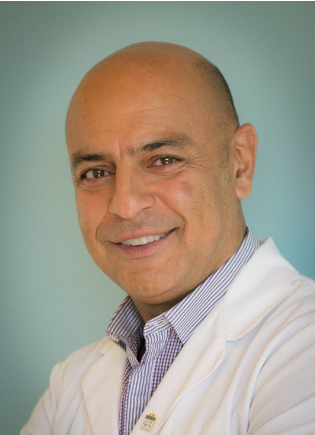 Dr. Ali Ghatri attended Case Western Reserve University in Cleveland Ohio, where he obtained his dental degree and was awarded the Certificate of Academic Excellence in Dentistry in both 1991 and 1992. In his last year of dental school, he was granted membership into the Omicron Kappa Upsilon National Dental Honor Society for excellence in academic achievement. He then received his orthodontic certificate from the University of Connecticut, Department of Orthodontics and started his practice in the metro area of Washington, D.C. in 1995. Dr. Ghatri has been a member of the American Association of Orthodontics since 1992 and received the American Association of Orthodontists’ Scientific Program Award for his participation in orthodontic education and research and is a Board Certified Orthodontist. He comes to QODS with over 24 years of experience and expertise. Being well respected in the dental field, Dr. Ghatri knew that anyone he partnered with had to share his personal values. He wholly believes in providing quality service when taking care of his patients and staff. His main role is to manage the practice, maximize its efficiency, enhance its growth and take care of the patients. Since the staff plays a huge role in determining whether these goals will be attained, through empowerment and regular training, Dr. Ghatri aims to increase their efficiency and to foster a harmonious team spirit among members. Together, Dr. Ghatri, Dr. Rouhanian, the other dental specialists and staff members will be providing all the dental services under one roof, in an atmosphere that is comfortable and familiar. Dr. Ghatri actually had intentions of pursuing a career in architecture or engineering but was convinced by a friend of his father - Mr. Farzan, that his personality was better suited for healthcare and he would perhaps find it more rewarding. To this day Dr. Gharti couldn’t agree more that this field was meant for him. Over the years he has enjoyed helping patients and seeing how happy they are at the end of each treatment motivates him to keep doing more. Dr. Ghatri greatly values honesty, care and integrity as these are traits he tries to live up to in both his personal and professional life. On days when he’s not at the office treating patients, he’s usually out and about enjoying various sports from tennis, mountain biking to soccer. He appreciates a good movie and book and to end the day on a calmer note, he indulges in meditation. Dr. Ghatri and his staff are ready and willing to provide services for all your dental needs. Please contact us here to schedule an appointment as we provide endodontics, orthodontics, oral surgery, periodontics and dental sleep medicine services. Come in to QODS today, where we treat you and your family like our family!